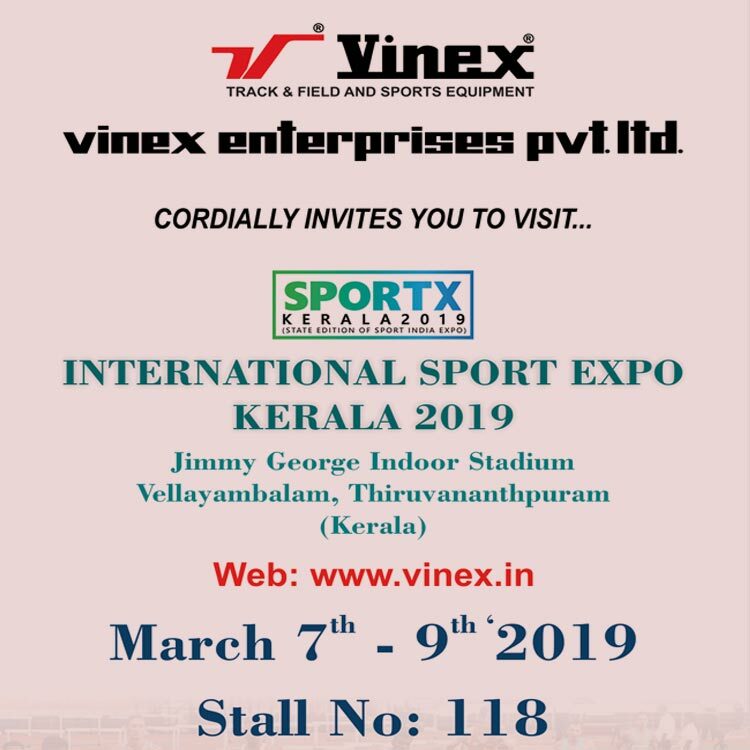 We glad to inform you that we are participating at SPORTX - 2019 (Jimmy George Indoor Stadium, Vellayambalam, Kerala, India) from March 7 To March 9, 2019. We cordially invite you to visit our stand at SPORTX - 2019. If you need further information please feel free to contact us at vinexindia@vinex.co.in. We will be displaying all the new products including all our major selling products. Stall No. 118.